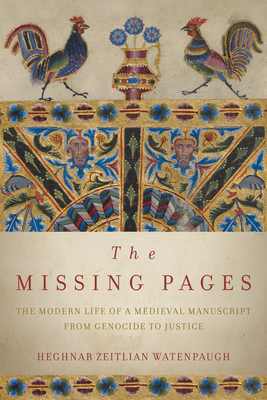 The Missing Pages is the biography of a manuscript that is at once art, sacred object, and cultural heritage. Its tale mirrors the story of its scattered community as Armenians have struggled to redefine themselves after genocide and in the absence of a homeland. Heghnar Zeitlian Watenpaugh follows in the manuscript's footsteps through seven centuries, from medieval Armenia to the killing fields of 1915 Anatolia, the refugee camps of Aleppo, Ellis Island, and Soviet Armenia and ultimately to a Los Angeles courtroom.